The trend of Denim jeans is growing over a long period of time since it evolved from cowboys to Rock n Roll. In fact, Denim pants have become a trend and a common lifestyle for everyone to wear regardless of gender. 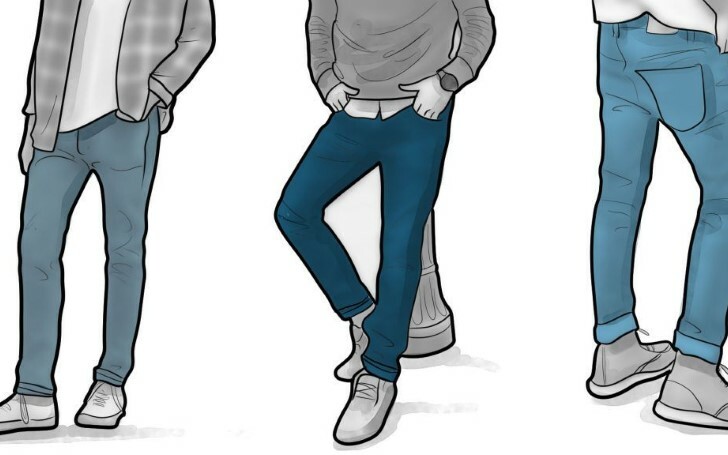 The uses of denim pant increased tremendously over the years. Nowadays the pants are available in different variations and designs. Here is the list of top 10 denim pants that delivers the quality as well as the looks that most of us seek. Founded in 1989 in Holland by Jos van Tilburg, the Dutch company G-star is one of the trending jeans company. Its quality and design gained appreciation from G-star users worldwide. Gucci is amongst the top when it comes to jeans and fashion. It is an Italian company founded in 1921 by Guccio Gucci. All the Gucci products are exported worldwide as it contains more than 100 branches in different countries. Originated from Italy, Armani was was founded by Georgio Amani and Sergio Galeotti in the year 1975. The company has been running for more than 5 decades. The brand is considered as one of the most successful ones as it contains it's own fashion label known as Haute Couture. Founded in the year 1981, Guess Jeans is an American jeans company having a head office in Los Angeles, United States. It is widely famous for his high fabric and stylish jeans. It was founded by Georges Marciano and his brothers. It is widely known for its uniqueness which customer admires and gravitates. True Religion Jeans is an American clothing company founded by Jeff Lubell and Kym Gold in the year 2002. It managed to gain a tremendous amount of goodwill in a short period of time for its stylish and unique looks with uncompromising quality. Pepe Jeans is amongst the top positions for its luxurious, stylish and durable qualities. The brand was founded back in the year 1973 in London collectively by Arun Shah, Milan Shah, and Nitin Shah. Likewise, the Fashion studio is associated with various celebrities and fashion lines. Besides, it is widely popular in Asia as its founder belongs to Asian ethnicity. Precisely known for its comfortable and durable quality, Lee stands out amongst its competitors. The company has collaborated with famous personalities like Jacqueline Fernandez and Felicity Gilbert. Henry David Lee established the fashion wear company back in the year 1889. Diesel is known for its creative design, comfortable and durable wear. The brand was founded in 1978 in Molvena. It was founded by Renzo Rosso and Adriano Goldschmied. Diesel is also associated with Wangler also a fashion label ranked among the top list of denim brands. Wrangler is among the top 2 because of its trendy and super comfortable wearability. The American company was originated in 1904 by C.C. Hudson. It is one of the oldest fashion organizations running successfully for 115 years. Last but not least, Levi's is amongst the top fashion organization owning branches and associates all around the globe. Levi's was originated in the United States back in the year 1853 by Levi Strauss. Since then the company is growing as it contains over two thousand and eight hundred internet market channels.